---Bonus:Giveaway an emergency bike light WITHOUT battery due to strict battery policy,suggest that will add 2 pcs AG10 button cell (1.5V) from your local store. 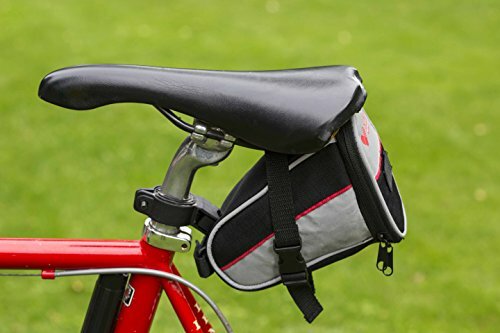 ---5pcs Easy Access Bandage 3*1"---5pcs Easy Access Bandage 3/4*3"
---5pcs Junior Easy Access Bandage 3/8x1.5"
---2pcs Sterile Non-Adherent Pads 2"x3"
2.Convenient saddle pouch, fit to marjory of bike saddle. To make you ride smart and easy, power of peace of mind in emergency. Giveaway an emergency bike light. 5. After-sales Guarantee: 100% no questions asked money-back guarantee .You're our top priority of life time client.